1. What’s the difference between a taxi and a private hire vehicle? 2. Why can’t I just hire myself and my historic vehicle out whenever I feel like it? 3. Are there any occasions when I can use my car to earn a few pounds to help with maintenance costs? For instance, I see photos in the local paper of kids being taken to school proms in historic cars, not to mention old cars being used for weddings etc. 4. Surely, no one will bother to check up – but what are the penalties if I do get caught out? 5. Where can I find some more background? 1. What’s the difference between a taxi and a private hire vehicle (PHV)? The distinction is less important than it once was as many local authorities set the same standards for both. Broadly, though, a taxi is a vehicle with driver that can be hailed in the street or picked up at a taxi rank and whose charges are based on an approved scale (usually metered) whereas a private hire vehicle is pre-booked with the hire charge being determined by agreement. The simple answer is that the law says so. The answer to the obvious follow-up question, ‘why?’, is rather more complicated and goes back into the pre-Victorian era. Briefly, though, the intention is to protect the public from physical danger by setting standards of competence for drivers and standards of maintenance for vehicles. With one or two limited exceptions, any vehicle that is used for private hire purposes must be licensed for the purpose, the driver must hold a PHV licence and the operator (i.e. the person responsible for arranging the bookings, who may also be the driver) also needs to have a PHV operators’ licence. All such licences are issued by the relevant local authority, and the terms and conditions (over which local authorities have an element of discretion) are quite onerous. Some authorities refuse to licence older vehicles for PHV purposes. Hiring your car out for self-drive is outside the scope of the PHV regulations, so technically you can do that without PHV licensing but the implications for insurance etc. make it a totally impractical idea on anything other than a proper commercial scale. The only exceptions to the general PHV rules are for weddings and funerals where licensing is not required, but beware, you do need to make sure your insurance covers this use. There is, of course, nothing in the PHV regs to stop any private individual using his car to take someone to a school prom, a golden wedding party or for any other purpose provided they take no reward for doing so. The courts would certainly take a dim view of anyone who sought to avoid the legislation by asking for payment in kind: that would still be considered a reward. Receipt of an unsolicited bottle after the event, however, is unlikely to be so considered. Don’t be so sure. Local authorities, who charge professional PHV operators substantial sums for licensing, are under an obligation to prevent unlicensed operators taking business from those who have taken the trouble to follow the correct procedures. While it is unlikely that a one-off occasion will be discovered, the penalties can be quite substantial and may include confiscation of vehicles as well as four figure fines. The subject of Private Hire Vehicles and the background legislation was covered extensively in FBHVC Newsletters in 2007/8. 1. What are the legal requirements for seat belts to be fitted? 2. What are the legal requirements for seat belts to be used? 3. What are the legal requirements for children to wear seat belts? Cars and light vans constructed after the end of 1964 but prior to 31 March 1987 must be fitted with seat belts for the driver’s seat and outer passenger seat (if fitted). No belt is required for a central front passenger seat.? Cars and light vans constructed after 1 April 1987 must be fitted with belts for each seat. Central seats may be lap belts only, others must be lap and diagonal. The law requires drivers and passengers in cars and other light vehicles to wear seat belts “if available”. There are stricter requirements for children (see below). The general position in Scotland, England and Wales is contained in Statutory Instrument 1993/176 The Motor Vehicles (Wearing of Seat Belts) Regulations 1993, as subsequently amended by S.I. 2006/1982 The Motor Vehicles (Wearing of Seat Belts) (Amendment) Regulations 2006. Similar rules apply in N Ireland. Ignoring the special provisions for the disabled, those with medical certificates, those using delivery vehicles or travelling in taxis, the regulations can be summarised as: if the seat has a belt, anyone using the seat must also use that belt. This applies whether or not the motor vehicle concerned is required by Construction and Use regulations to have belts fitted – in other words, if you have belts in your pre-1965 car, you must use them even though there is no requirement to have them there in the first place. The Export Control Act of 2002 seeks to protect national interests by controlling the export of items that are important to the country’s heritage and its security. In order to export, for instance, an Old Master painting, an appropriate licence has to be obtained. Equally, the export of items that could damage national security, if falling in to the wrong hands, is strictly controlled. Export in this context can mean being taken out of the country temporarily (such as when a museum piece is sent on loan for an exhibition) as well as being sold permanently. Regulations made under this Act apply to historic vehicles if they are either deemed to be culturally significant or if they are ex-military vehicles. Owners of vehicles to which the regulations apply risk substantial penalties if they fail to comply with the requirements outlined below. There is, however, a further matter to consider if the vehicle being exported is going outside the European Union. Community legislation (EEC No 3911/92) operates in tandem with the requirements under UK law, and this requires individual licences to be obtained for export to destinations outside the European Customs Union of motor vehicles over 75 years old, valued at or above £43,484,* even if they are being exported only temporarily. Vehicles between 50-74 years old do not require an individual EC licence for export to a non-EU destination. This means that individual export licences are required if taking such historic vehicles to events, on tours or on holiday to destinations outside EU, such as Switzerland, Norway, Turkey, old Eastern bloc countries and, of course, other continents. These licences are issued by the Arts Council. Further details and application forms can be found at www.artscouncil.org.uk and a booklet is available: UK Export Licensing for Cultural Goods: Procedures and guidance for exporters of works of art and other cultural goods which provides guidance on the procedures involved in applying for an export licence for cultural goods. Part 1 sets out the export controls that apply to cultural goods, and when an individual export licence is required. Part 2 details how decisions are reached on licence applications for objects of national importance. Table 2 shows threshold values for EU categories for the export of cultural goods. * These values are adjusted from time to time to account for inflation and currency fluctuations but were correct at March 2012. Check at www.artscouncil.org.uk for latest figures. The Export Control Order of 2008 (Statutory Instrument 2008/3231) came into force on 29 April 2009. It consolidated and updated other orders made under the 2002 Act. Publicity about the new control order’s introduction coincided with a large number of military vehicle enthusiasts wishing to take part in the D Day commemorative events in 2009. It was realised that the order made it necessary to obtain an export licence to take ex-military vehicles and any associated trailers, parts or equipment of any age out of the country. Hasty negotiations between officers of several military vehicle organisations and the Export Control Organisation (ECO) of the Department for Business and Regulatory Reform – now the Department for Business, Innovation and Skills (BIS) led to the issue of an Open General Export Licence (OGEL) just in time to allow the events in June 2009 to go ahead. That licence, issued on 29 May 2009, has subsequently been amended and a new Open General Export Licence (Historic Military Vehicles and Artillery Pieces) came into effect on 1 November 2009. - permanently converted to only fire blank ammunition, and intended for re-enactment or commemorative events. - less than 50 years old and are registered with DVLA as ‘private’ or ‘historic’. certain items that are specifically related to the type and period of the artillery and vehicle being exported. In order to take advantage of the this OGEL, it is necessary to register to do so, (unlike the OGEL for historic vehicles in general, described at the top of this page) and registration can only be done through ECO’s on-line licence application database, SPIRE, which can be accessed at https://www.spire.bis.gov.uk Paper application is not an option. [FBHVC is indebted to James Baxter of the Invicta Military Preservation Society for his work undertaken on this topic. A full report by James can be found in FBHVC Newsletter 5/2009, with supplementary information reporting the current OGEL appearing in 1/2010]. In the early 2000s, there was widespread concern that the controls on occasional sales (which include autojumbles) imposed by Local Acts such as the ‘Kent Act’ might be extended nationwide. The Home Office (as it then was) was planning to consult on possible new regulations in 2005, but those plans were quietly dropped. The Kent Act is by no means unique but despite widespread publicity and concern, FBHVC received only one report of a problem, and that would have been resolved if the Home Office had decided to proceed with a national Act to replace the provisions of the various Local Acts. At the end of 2008 a query was raised that has shown that local authorities do already have some (but by no means all) of the powers that are contained in such Local Acts. Section 37 of the Local Government (Miscellaneous Provisions) Act of 1982 covers ‘temporary markets’ and gives local authorities the power to demand that anyone organising such a market, and the owner of the land or premises where it is to take place, seek appropriate permission from the authority. There are exemptions for sales where the proceeds are to be used for charitable, social, sporting or political purposes, but some authorities still demand notification, perhaps using a relevant Local Act or ancient charter entitling a council to control markets as justification. The purpose of such controls seems to be more to do with preventing unfair competition for traditional markets than anything else. Club events, especially if they are infrequent, are unlikely to be of interest to local authority enforcement officers as it would hardly be proportionate or in the public interest to take action on a modest event attended by a small group of people. A monthly car boot sale, on the other hand, would certainly attract attention. Nonetheless, organisers of club autojumbles or table top sales might be wise to check the position of any such event that they plan with the local authority. The report below appeared in FBHVC Newsletter 1/2009, and related to a case that reached the High Court in July the previous year. Goodman Derrick LLP are FBHVC Trade Supporters and specialise in providing advice to vehicle collectors. The regulations relating to taxation on the import of goods and chattels from outside the EU are complicated, with both customs duty and VAT to consider. In general, motor cars and motorcycles come under heading 87.03 (motorcars and other vehicles principally designed for the transport of persons). Customs duty is payable at 10%, and VAT was, at the time of this case, 17.5%, both calculated on the value at the time of importation. In certain circumstances, however, older cars and bikes may be considered to fall instead under heading 97.05 (collections and collectors’ pieces of zoological, botanical, mineralogical, anatomical, historical, archaeological, paleontological, ethnographic or numismatic interest). Customs duty is nil, and VAT is calculated at the reduced rate of 5% for these items. That’s the background. Last year, the FBHVC secretary had a request for help from someone who had, in 2005, imported from New Zealand a 1955 Zephyr convertible. HM Customs & Excise (as it then was) initially argued that this car failed most of the tests (and specifically the test of ‘high value’), but this view was successfully challenged in two tribunals. HM Revenue and Customs, as it had now become, conceded that the car qualified under the first three tests, but decided to appeal the tribunals’ decision to the High Court on the basis that it failed to meet the ‘value’ test. They said that to qualify as being of high value, it would have to have been worth at least £20,000 at the time of import. They arrived at this figure by multiplying the £7,000 value of a very modest new car by three, and rounding down. FBHVC does not have the resources to provide assistance in such circumstances, but thought the case may be of interest to Martin Emmison, a partner in London law firm Goodman Derrick LLP. Goodman Derrick is a FBHVC Trade Supporter and Martin specialises in providing legal advice for those buying and selling historic vehicles. 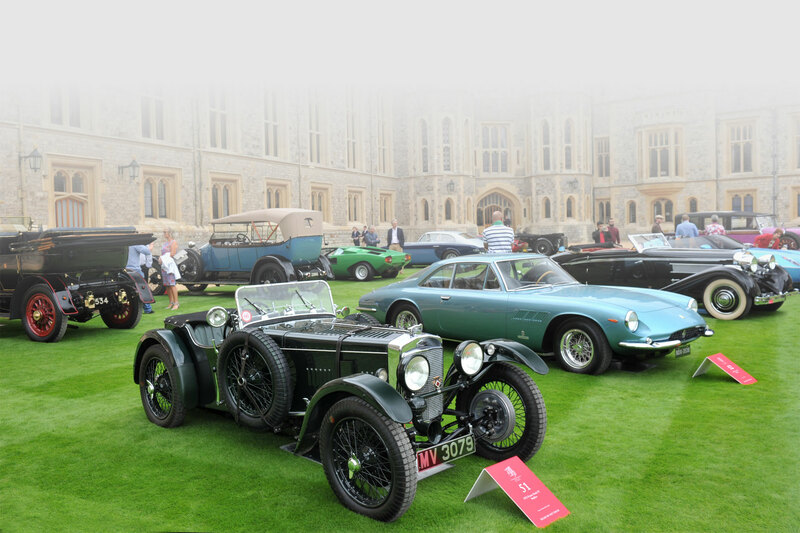 The appeal was heard at the Royal Courts of Justice in July where the case was argued before Sir Andrew Park by Matthew Collings QC, who is also a collector of historic cars. Sir Andrew’s judgment, finding against HMRC, was handed down on 2 October thus reinforcing the decisions of the previous tribunals, and establishing that considering value in reference to modern vehicles was inappropriate. Instead, it was necessary to consider the market value (agreed by all parties at a nominal figure of £10,575) against its value as scrap (£75), the sum of the value of its component parts (£2,500) and its utility value (its value simply as a means of transport, ignoring any rarity or historic value), which was determined to be less than the gross value of the component parts. The High Court’s decision means that in future cars which are worth less than £20,000, but which meet the other criteria for classification under heading 97.05, will not be subject to an arbitrary bar to more favourable rates of tax and import duty, which should assist the inflow of imported classic cars into this country. It may be of interest, particularly to trade members of FBHVC, that HM Revenue & Customs appear to be carrying out retrospective reviews of vehicles that have been imported into the UK from outside the EU under the advantageous 97.05 Tariff Classification as ‘collectors’ pieces of historical interest’. If HMRC believe that vehicles, which are not entitled to be so classified, have been granted the effective 5% VAT rate (with no import duty), they can raise a retrospective assessment called a ‘Post Clearance Demand’. The law permits them to go back three years. This has happened to a trade client of my firm in respect of a large body of cars. The first stage of appeal is an internal departmental review process inside HMRC, and the next stage would be an appeal to an independent VAT Tribunal. My advice to any member who may be contacted along these lines by HMRC is to take it seriously, because they mean business. Don’t simply respond to their enquiries on an offhand or ‘back of the envelope’ basis. Assemble your information carefully – or ask the FBHVC secretary for our contact details. HM Revenue and Customs, aware of the problems arising from differing interpretations of the regulations, sought clarification of the relevant explanatory notes from the European Commission. - of a model or type which is no longer in production. - being of greater value. (b) motor racing vehicles, which can be proved to be designed, built and used solely for competition and have achieved significant sporting success at prestigious national or international events. 3. Articles of a kind used as parts and accessories for the above-mentioned vehicles are classified in this heading if they are collectors’ pieces themselves, whether or not they are intended to be fitted into those vehicles. Proof can be supplied by appropriate documentation, for example, reference books or specialised literature, or by opinions from recognised experts. The above Explanatory Notes apply, mutatis mutandis, to motorcycles. Replicas are always excluded (generally Chapter 87). The main change is that there is now more emphasis on originality and less on age – previously, any vehicle made before 1950 would qualify as a collectors’ item: now it might not if it has been modified or is incomplete. It also opens the possibility of HMRC asserting that a particular vehicle fails ‘to evidence a significant step in the evolution of human achievements or illustrate a period of that evolution’ and leave it to the importer to prove otherwise.